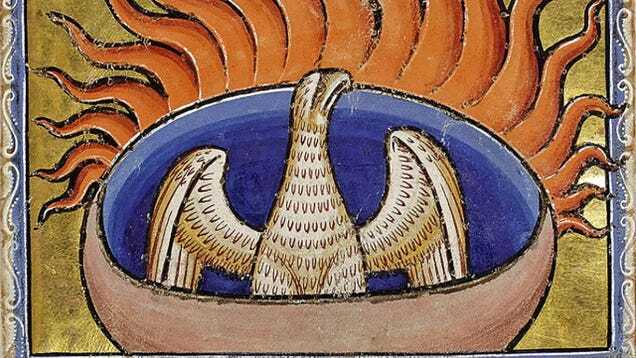 A phoenix as shown in the 12th-century Aberdeen Bestiary. Farmington High School won’t open until next year. When it does, it will serve the community in and around Farmington, a fast-growing city in northern Utah. But the school already has a mascot, the Phoenix. The mythical bird was chosen by a vote of area children; it beat out Farmers, Eagles, Firebirds, Silverback, Fox, and Silverfox. After first hearing about the mascot of Phoenix, I was practicing some cheers for the upcoming school year with a couple of my neighbors just for fun. We cheered, “Go Phoenixes!” However, it didn’t sound right to us, so we looked online to makes sure that we were saying the pluralized word of Phoenix correctly. We quickly discovered that although Phoenixes is an acceptable way to say it, another pluralization is Phoenices. So we changed our cheer to, “Go Phoenices!” Which is when the concern began to set in. It has been stated that we will only refer to the mascot in the singular form - Phoenix. I think that’s a great idea in concept, but see reality playing out far differently. 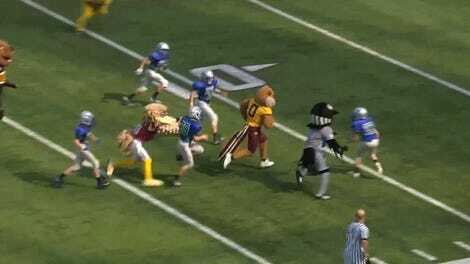 Nearly all school mascots are referred to in the plural form (Darts, Vikings, Braves, Wildcats, etc. ), so when you think about cheering, “Go Phoenix!” It sounds a bit strange because it is grammatically incorrect. As happened to my neighbors and me, high school kids will take a quick trip to Google or WordHippo to learn that Phoenices is a plural form of the word. There are many people who find this type of thing funny, and all it will take is one person to figure it out before it goes viral. However, the reality is that this has already started to happen in our own community as word has gotten out about this oversight. We are already being referred to as the Phoenices. With this scenario playing out, there will be a never ending barrage of references to male anatomy directed at our children as they participate in any kind of sports against other schools. In an effort to be funny and get under the player’s skin, opposing student bodies will most certainly chant things such as, “Go Phoenices!” That will just be the beginning as it doesn’t take much imagination to figure out how vulgar this could get. I’m confident that the district does not want to bear the responsibility of our children being bullied as a result of our school mascot. The school district says there are no plans to change the name. At publication time, nearly 3,000 people have signed the petition for a new school mascot.